The abundance and importance of tips in biological images makes their detection an integral task in the field of biological image processing. The complexity of tip-detection in such images is three-fold - the tips do not have a fixed shape, they may be oriented along any angle, and they may be present at varying scales within the same image. 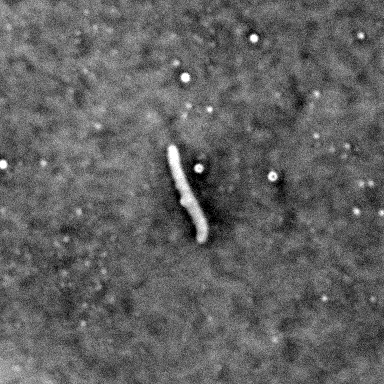 This makes tip-detection a challenging and important step within the realm of image analysis in general. Even though techniques capable of such a task exist, they either do not selectively find tips in an image or have not been explicitly employed for such a task before. One of these techniques utilizes steerable wavelets, which have the property of being rotation- and scale-invariant. The goal of this project was to demonstrate, as a proof-of-concept, tip-detection with steerable wavelets. For this, it was required to design a template which would be able to identify tips in a variety of images. After constructing and analyzing 14 templates and conducting experiments with each, the final template which was arrived at was successful in detecting tips with reasonably good accuracy over a wide variety of synthetic and real images. In doing so, the applicability and efficacy of steerable wavelets for tip-detection was demonstrated. Additionally, avenues for future work were also suggested to take this work from a proof-of-concept stage to more robust and generalized implementation.